Two weeks ago I wrote that I had become a Yakezie challenger and I gave my Alexa rank, but I didn’t provide any details for those of you who are unfamiliar. Today I’m rectifying that because I can already see how being part of the Yakezie network has benefitted this blog! You can see our newly-installed Yakezie badge in the sidebar. 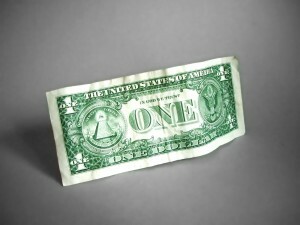 Yakezie is a network of personal finance and lifestyle bloggers. Part of the purpose of the network is to increase all of the sites’ popularity (as measured by the Alexa Rank) and part is to develop relationships with other bloggers. For me, the latter is the more important. Blogs bidding to enter the Yakezie network go through a 6-month challenge before they can gain entry. 1) Install the Alexa toolbar. 2) Write consistently 2-4 times a week for 6 months. 3) Install the Yakezie badge. 4) Announce on your blog that you have joined the challenge. Writing 2-4 times per week was already my plan – I started with 3 PF posts per week (Monday, Wednesday, and Friday) and have now added Sunday wrap-ups where I promote others by linking to posts that I liked. (I don’t care if they are in the Yakezie network or not, though.) The Yakezie-specific tasks are simple to add. We are asked to install the Alexa toolbar because the toolbar is how the data for the Aleza ranking is gathered. This is of course only one way to assess popularity, and I’ll be keeping an eye on some of the others as well. Here at the start of building this blog Alexa is a fun one to watch because it has such granularity (millions as opposed to 10, for instance), so it drops quite fast. The first time I checked my Alexa Ranking (2/7/2012) it was 3,721,125. As of today I have CROSSED THE ONE MILLION THRESHOLD! I watched my rank drop like a rock after I posted a few times in the Yakezie forums and have gotten a lot of visits and comments from other Yakezie members – thank you! The comments are my favorite part so please keep them coming! I love commenting on other PF blogs as well and getting into conversations. I’m looking forward to starting more relationships with established PF bloggers as well as new ones! Honestly, I don’t even pay attention to whether or not another blogger is associated with Yakezie but I’m glad the network has helped me find more and more blogs to read. 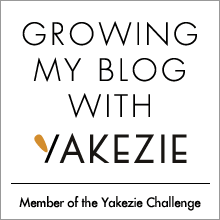 13 Responses to "I’ve Joined the Yakezie Challenge! (Update)"
Congratulations on joining the challenge! I just joined 2 weeks ago as well and it is working out well. I noticed a post that you placed in the Yakezie forum about the small groups. Since a new formal one was created in January prior to many of us starting, we created an informal one as of February. So far there are 5 of us. From what I understand the groups are usually up to 10 or so people. If you are interested in joining us we’d be happy to include you. Thanks for the link and invitation! Congrats on joining in on the challenge. It’s fun and really rewarding! Plus you will meet a ton of awesome bloggers. Good luck! There are a ton of great folks at Yakezie, and there are many great blogs out there that you can learn from. I’ve been thinking of joining the challenge as well – good luck to you! It sounds like a great group of people. Congrats and welcome to the challenge! Joining Yakezie has helped me in ways I never thought possible. You guys are going to be a great addition! Congrats on joining! I hope you hit 200,000 faster than I have! I’ve got a question for you. I’ve been doing my research on the Yakezie Challenge, and it sounds like something I’d love to try. So since I’ve got the Alexa toolbar already installed, all I have to do is announce that I’m doing it and add the badge to my site? I just wanted to make sure that I’m not missing anything. Thanks! I assume that you have found these action items. The only other thing I would recommend is registering for the Yakezie forums and starting to participate over there. As groups of new challengers come in they form groups to support one another as their blogs are getting off the ground. Honestly, I don’t pay too much attention to who is “in” Yakezie and who isn’t – I just promote people who write great content. I do like checking out the forums from time to time for opportunities to connect with other bloggers and tips on running blogs. Oh ok. Yea I’d seen those items but I wasn’t sure if there was more to it. I’ll go ahead and join the Yakezie forums and take a look around. Thanks for the advice!